1-liter ink bag filled with eco-solvent ink for Mutoh Valuejet, with a smart card. 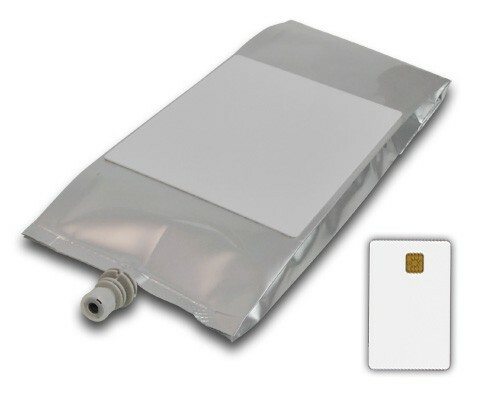 This is the DSP premium next generation "nano ink", packaged in bags on our proprietary 2-stage degassing machine. Our ink bags will work with less banding and with a higher yield per liter, compared to all other alternative inks.